A glimpse of another world. Somfy make motorised blinds. Their target audience are affluent empty-nesters in America. They’re well-read and well-travelled. Somfy wanted to create content that would be covered by online publications their customers read. Expanding on this, we came up with the idea of that moment of reflection as you look out your window and draw the day to a close. 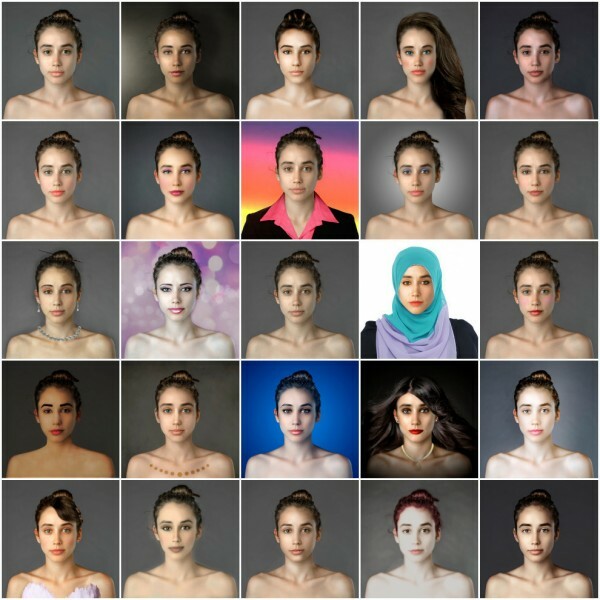 We were also inspired by an online project where one woman (Esther Honig) paid people in different countries to photoshop her image to make her ‘more beautiful’. 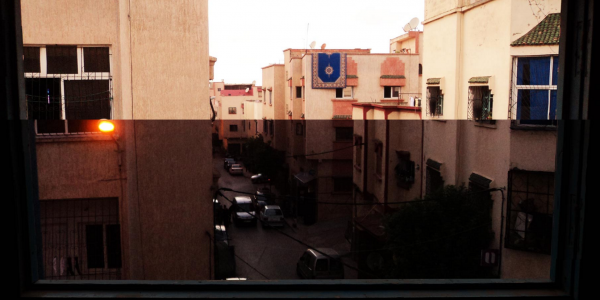 We decided to ask people around the world to take a photo from their window during the day and the evening, and tell us what they think and how they feel when they look at their view. The personal stories we received were really quite moving. The content was put together in a scrolling page where the day-time shots are overlaid by the night-time ones. The animation provided a subtle nod to the client’s product (motorised blinds). If you want to scan the piece quickly, you can simple enjoy the photography. But if you choose to dive deeper, the personal stories provide an intimate snapshot of human life in different places around the world. “From my bedroom window, I can see the house of the most important person in my life, my uncle. It was no accident that I chose my room to be the one that faces his house. “The first time I stepped into this room with heavy boxes full of books, letters and memories, I was impressed by this view: it seemed to me that the window goes through the entire wall. Now, when I look through my window, I see life; the way it goes: so easily, but at the same time so unpredictably. Sadly, when I look through the same window today I feel the biggest killer in this world is loneliness. I just sit here for hours, looking down and sinking in the silence. 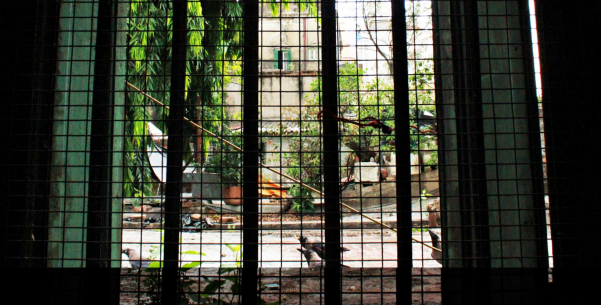 “Crows patrol outside the century old house we call home, a home that we are about to lose. We have to sell because the maintenance costs are rising day by day. From my window I can see the adjacent houses situated on the north side. I can hear my neighbours talking, the dogs barking, and there are birds that sing. But it smells of dogs, as there are 9 dogs living in the gap between my house and the house next to mine. Whenever I am in this room, I can’t help but think about my childhood because this is the room I used to share with my brother. I love everything about it, this secret window and the unique view. As darkness falls, you can barely see the distant houses. “When I was a little girl, this view was of trees and grass, but now I see house, after house, after house, and far away the buildings merge into each other. Far away, on the left I can see Concordia’s Christ, the biggest monument in my country. I can hear cars passing by, the wind, and the little birds making noise on the roof. I smell the city, a mixture of pollution and soil. You can read the rest of the stories here.